It is exactly 40 years ago when John Carpenter released his now classic, game-changing horror, Halloween, which saw a small town terrorised by a masked killer called Michael Myers. Six sequels and two reboots later (forgetting Halloween III: Season of the Witch as this was a stand-alone story), we now have a new edition to the series, which asks us to forget all the other sequels and reboot, as if they never happened because this is the real Halloween II. Michael Myers has been languishing in a high-security hospital since that fatal night in 1978 and is about to be moved to another unit where he will stay for the rest of his life. 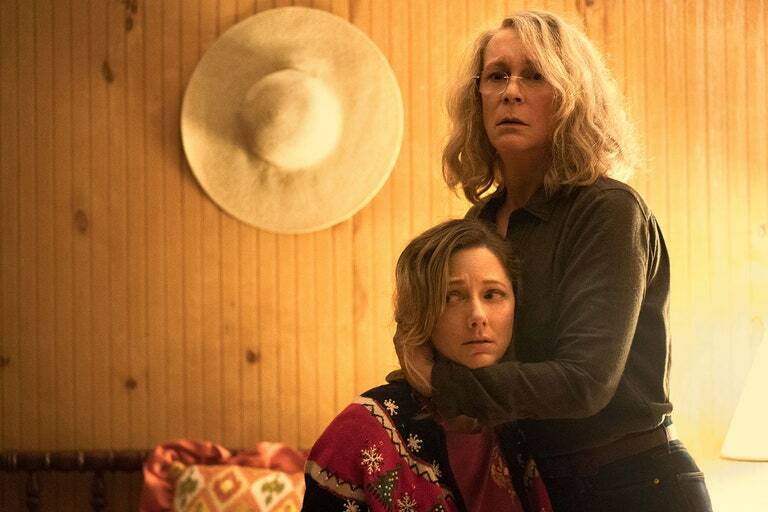 Meanwhile, survivor Laurie Strode has spent the last 40 years longing for revenge, to the detriment of her health and her family: a daughter who was taken away from her at a young age and still resents her and a granddaughter who wants to understand. The bus transporting Myers is involved in an accident and he’s out and heading for his old haunting ground. An unusual project for co-writer and director David Gordon Green, known more for a mix of broad comedies like Pineapple Express and indie dramas (Joe, Prince Avalanche), he has decided to wipe the slate clean and deliver a film that has all the trappings of Carpenter’s original, nods to the classic while giving it a contemporary feel. With its opening titles reminiscent to the first film (Carpenter’s iconic theme music and Jack O’Lantern) we see Myers in hospital being gauded by podcast reporters in possession of the mask he used. It isn’t long before that mask is back with its owner and the killing spree begins, as it would, on Halloween night. The cinematography is similar to Carpenter’s, with heavy use of mist and a grainy film stock so if you played both films back to back, you would find it hard to distinguish the two. Green also has plenty of nods to the original and its sequels, even though he wants us to forget the intervening years and just concentrate on the first. Fans of the series won’t be disappointed in how the tale unfolds, with flashes of touches that give a knowing nod to the past. Green has also given the film contemporary flourishes. One character asks why the events in the town are so memorable when hundreds of people are killed in America every week. 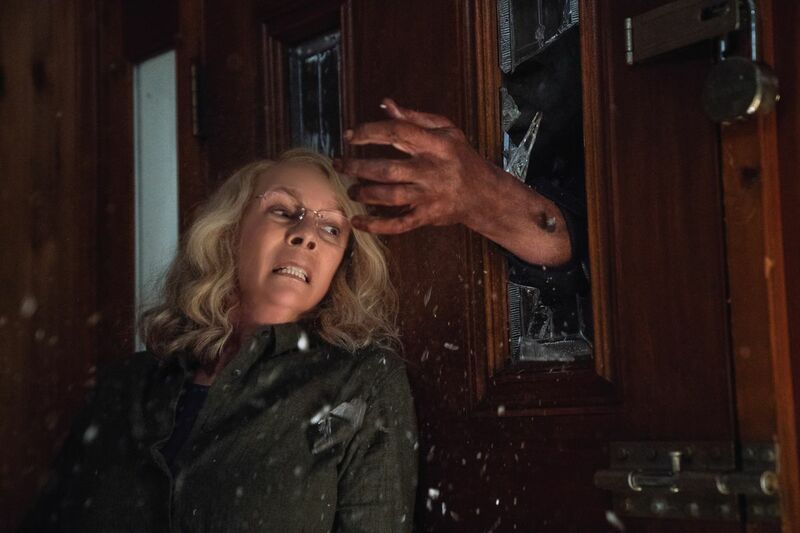 What is also clever is how he has managed to mirror Myers actions with those of Laurie Strode, a woman who has suffered every day waiting for her chance to seek revenge and to remove the demons of that night. Where the film differs greatly is the gore factor. The original worked because Carpenter allowed his audience to image what happened and didn’t show everything. Green goes all out and the gore levels are incredibly high. Yet he has still kept the suspense and the scare factors are high too. It also helps that Jamie Lee Curtis, returning to the role that made her famous, is fully convicted to deliver a Laurie Strode brimming with resentment and hatred. It’s a performance that is like adding a cherry to the top of an ice cream sundae. This is a woman who has slowly gone crazy waiting for that day she can end the pain and Curtis is on fire. 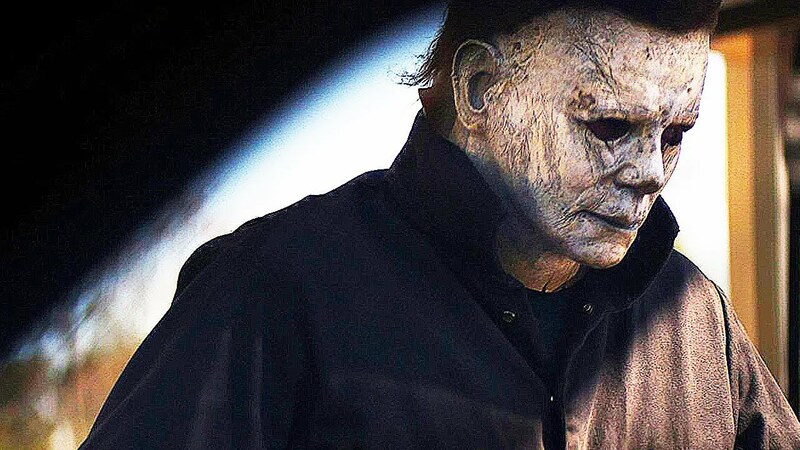 Halloween 2018 will never reach the heights the 1978 film has hit but it’s definitely the best of the returns. 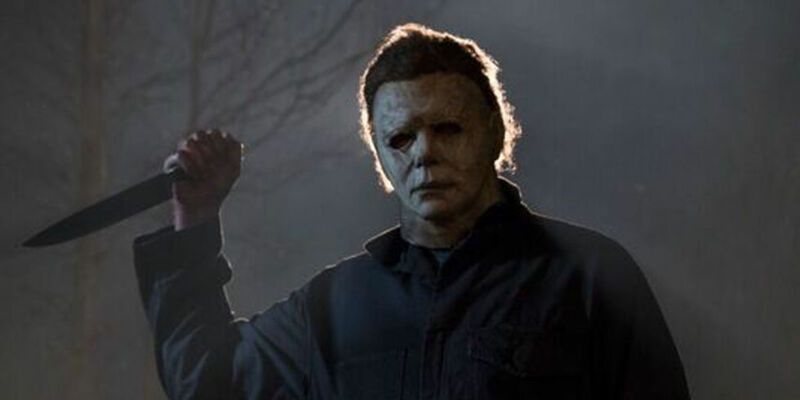 Hopefully, we can end it here but I get the feeling that Michael Myers will return, as he has for the past 40 years. In the meantime, this is an effective horror that is miles better than anything that has been out of late.